What Kind of Paint Is Safe for the Health? Putting on a fresh coat of paint to your rooms can make your home livelier and brighter. Plus, if you do it yourself, you can definitely save a lot of money. But wait—there’s a downside. Painting sounds like it doesn’t take a lot of effort to do, but you do have to watch out for harmful paint fumes. Before you pick up that brush, learn as much as you can first about finding health-friendly paint. Don’t get exposed to VOCs. 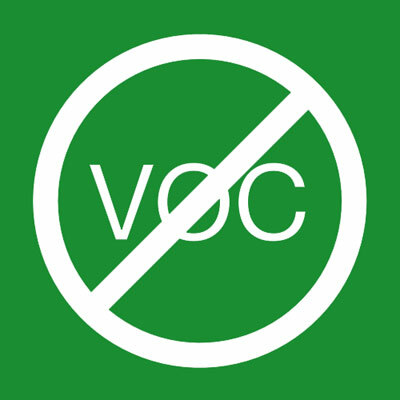 VOCs stands for volatile organic compounds, which are ingredients found in standard paint. If you get a headache, nausea, dizziness, or skin irritation, that’s probably your body reacting to the new-paint smell of VOCs. Imagine professional painters working with paint on a daily basis. And even a casual weekend painting job should watch out for VOCs, especially when painting indoors, where you can get exposed to higher levels of VOCs. “Choose organic paint that you can easily buy from home improvement stores,” advises Jay Miller from Jay Miller General Contractors in Easton, Pennsylvania. “Read the labels on the can carefully and take note if it’s low- or no-VOC. That’s the best way to protect yourself from the toxic fumes.” If you choose to work with contractors, Miller recommends letting them know about your preferences on what kind of paint to use for your home. According to the Environmental Protection Agency (EPA), indoor air is three times more polluted than outdoor air. The leading causes? Paints and finishes that release toxic omissions into the air for years after application. Thus, if you’re going to choose health-friendly paint, make sure to find low- or no-VOC paints and finishes. They are as durable as standard paint, and less harmful to your body. Because of the growing consumer demand for safe paint, more healthy alternative paints have become available in the market. There’s the Low VOC Paint, Zero VOC Paint, and the Nontoxic or Natural Paint. First thing you have to know about Low VOC Paint is that it’s different from Low Odor. Just because you can’t smell it doesn’t mean that it can’t hurt you. When looking at the label, check if the VOC contains less than 150 grams per liter so that it meets the EPA’s maximum VOC-emission standards. You’ll also notice that low- and no-VOC paints dry much faster than those with high VOCs. But besides the VOC, there are also other health hazards you should watch out for like the heavy metals and crystalline silica, which are added to the paint for color and texture. These are carcinogens if inhaled when sanding or scraping. Mildewcide additives containing formaldehyde is also carcinogenic and can irritate your respiratory tract. For the best results, it’s better to be paranoid and ask for a Material Safety Data Sheet (MSDS) from the store to gain complete information about the ingredients. You can also go to the manufacturer’s website to look for these details. And when you’re done with your research, it’s finally time to pick the best paint for your bedroom!